Austin hopes changes like these won’t become a trend throughout the industry. However, not all brokers are lamenting the changes – especially considering the bank still offers proprietary offerings largely unique in the channel. “I don’t think the changes that National Bank are bringing in are that intrusive; as long as you are achieving the volume levels needed, I’m not seeing an intrusive change,” Ross Thorstad, co-owner of Verico Mortgage Depot, told MortgageBrokerNews.ca. “They’ve got the ‘All in One’ for refinancing clients that allows you to pay down the mortgage and, as long as you are within the cap of 65 per cent, it allows you to still access the line of credit borrowing limit. National Bank is so difficult to deal with, their underwriters live in a box, their BDM is not very responsive, their policies are too tight, that this won't impact me at all because I find it very difficult to deal with them. I do like the move towards efficiencies and away from volume bonus. This sends the right message to the market – be efficient and we all do better. One can now earn upto 50bps in vb/efficiency bonus. This is almost double the current market. 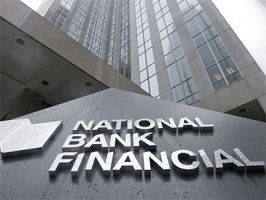 I applaud National Bank’s compensation change and hope that more lenders will follow suit. It is certainly in their best interest to do so. Most lenders draw almost no distinction between brokers who fund 25% of what they submit versus those who fund 80%+, beyond a little lip service and the odd cull of the worst of the worst. Today’s lender compensation models basically ignore the fact that low funding ratios cost them money. NB is shifting its broker compensation focus away from sheer quantity (volume) and toward quality (higher funding ratios) instead. If lenders believe that their volumes will slow in future, evolving their reward systems to tilt the playing field in favour of the most efficient brokers is a no brainer. Today’s volume-first compensation models created low funding-ratio broker monsters that sap lender profitability. Tomorrow’s compensation models can vanquish them just as easily.